Today, we're open from 9 am - 4 pm. See all hours. 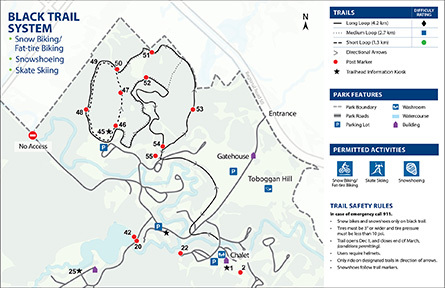 Seek adventure at Albion Hills Conservation Park, where experiences engage you — from mountain biking through the woods, to camping along the riverside, to running in adventure races. Spend an afternoon, or a whole weekend! Hit the trails with your family and friends! Albion Hills Conservation Park has great trails for cross-country skiing — an excellent way to stay active in winter while enjoying the outdoors. Albion Hills offers discounts on ski packages for groups of 20 or more, Monday to Friday during ski season. Depending on weather conditions, trails will open for cross country skiing from December until early March. Please visit TRCA’s cross-country ski page for current conditions and more information on fees. Fat-tire Biking is available on all trails during the fall season. Rentals are available from the park (Bikes by Rocky Mountain) at $35 for 2 hours or $50 for the day, deposit required. Please note that there are limited numbers of bikes available, please call day ahead prior to start of ski season. CSA Approved safety helmets are required. Tires must be 3 inches or wider and tire pressure must be less than 10 psi. Camp close to home at Albion Hills! With scenic nature trails for hiking and mountian biking, and family-friendy facilities including a swimming pool and splash area, Albion Hills Campground is the perfect escape from the city. Seviced and unserviced sites are available for tents, trailers and RVs. * Parks Members must show membership card to receive special price. Fully accessible 440 sq metre wading pool (4 feet deep). 125 sq metre interactive splash pad. Clean and safe water fun for kids all ages. Located in natural wilderness surroundings. Snack Bar with hot food, cold drinks and snacks. Free Wi-Fi at Snack bar and around Pool Deck. If you’re in search of great mountain biking trails, look no further than Albion Hills Conservation Park, which boasts some of the most spectacular in southern Ontario. 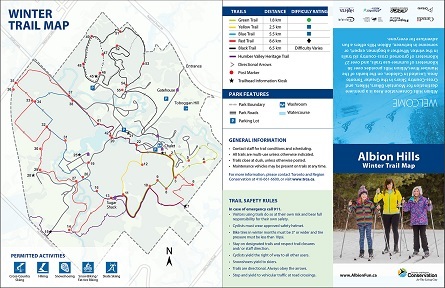 Explore the beauty of Albion Hills on trails designed for riders of all ages and skill level. More than 50 kilometres of double-track and technical single-track trail. Fast, rolling terrain and long down-hills. Situated on 486 hectares (1,200 acres) of beautiful forest in the hills of Caledon. 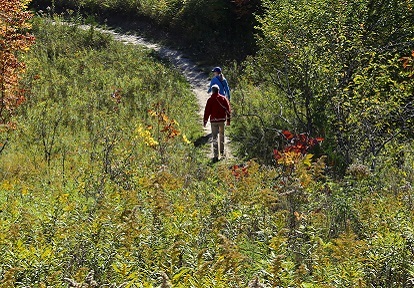 During the fall, Albion Hills Conservation Park plays host to a number of cross-country races. 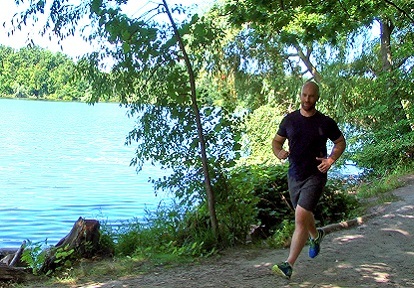 The large shade trees offer runners the perfect conditions for training and competition. Our friendly staff has plenty of experience in hosting cross country runs and will help make your next race a success. Join us at Albion Hills on July 1 for the annual Caledon Canada Day Celebrations. LEARN MORE. Looking for a great place to take your day camp or day care this summer? 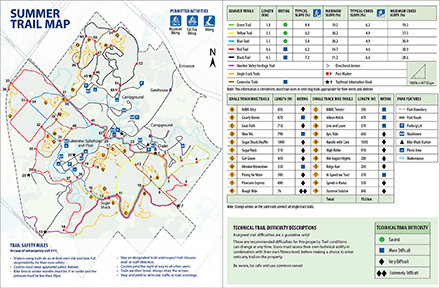 Consider Albion Hills Conservation Park. With its many natural amenities and lush green spaces, kids will love to explore nature and get active! Albion Hills Conservation Park offers many shaded areas, picnic shelters for lunch and snack times, open fields for sports and plenty of washrooms. Special permit pricing applies. Group camping is available at Albion Hills Conservation Park for groups of 20 or more. For more information on group camping or to make a reservation, please contact 905-880-4855 or toll-free at 1-800-838-9921. 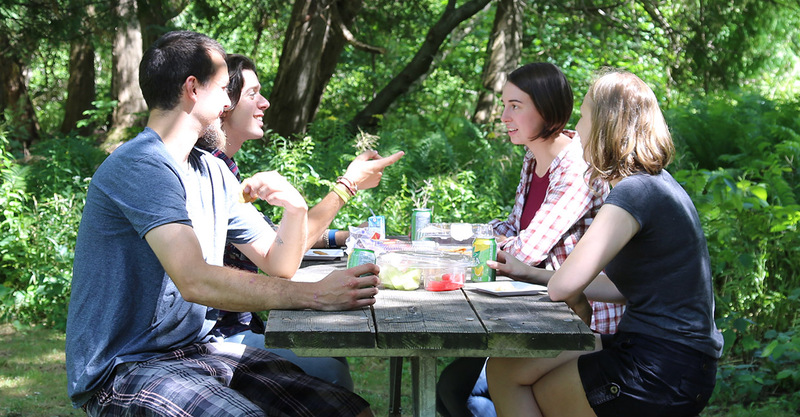 With 11 picnic sites located throughout the park, Albion Hills Conservation Park can easily accommodate groups, both large and small. Our friendly customer service representatives will help you determine the best site for your group and will even set you up with caterers, tent rental and entertainment companies. For more information, visit www.picnics.ca. Nestled in the woods on 1,200 acres in the rolling hills of Caledon, the Albion Hills chalet can accommodate up to 135 people, and offers high ceilings, a large deck and a panoramic view of the forest. A flat lawn, located directly outside the chalet, is an ideal location for ceremonies or larger receptions. Make your next meeting a productive one – in a relaxed, natural environment that will spark creativity. The lush, panoramic views of the Albion Hills chalet will inspire your team with the beauty of the natural surroundings. For information on available dates or to book an appointment to visit the facilities, please call 416-667-6295 or email picnics@trca.on.ca. To book Albion Hills Conservation Park for group cross country skiing, running or day camps, please call our customer service department at 416-667-6295. To book a group camping site, please call Albion Hills Conservation Park directly at 905-880-4855 or 1-800-838-9921.